As the construction of a tramway through central Tampere progresses, traffic arrangements on Pirkankatu, Hämeenkatu and Rautatienkatu as well as in Hämeenpuisto will change starting from week 27. The construction of the tramway on Pirkankatu will progress eastward towards the Hämeenpuisto junction. The construction work moves onto the junction towards the end of week 27, and as a result the pedestrian crossing at the Hämeenpuisto and Pirkankatu junction in front of the Tampere main library Metso will be closed off. The nearest other crossings are located at the west side of Hämeenpuisto, adjacent to Metso, and across Pirkankatu at the Mustalahdenkatu junction. 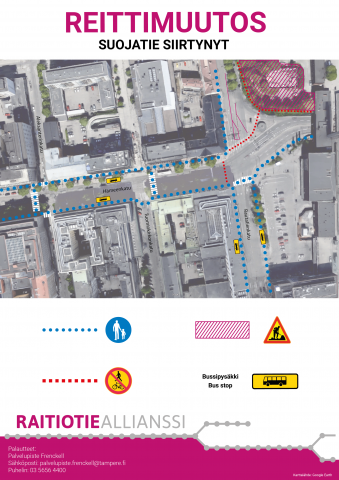 In addition, pedestrian crossings on Hämeenkatu at the centre of Hämeenpuisto and from Aleksanterin kirkkopuisto into Hämeenpuisto will be available to pedestrians. For the duration of the construction work, the traffic lights at pedestrian crossings will not be in use. In the future, southbound traffic from Hämeenpuisto across Pirkankatu will be required to give way to traffic from Pirkankatu. The tramway construction in the area of the junction will continue for several months. Surfacing works for the tramway will continue on Pirkankatu, including the casting of ballastless tracks and the installation of rails. During the casting, traffic on Pirkankatu will at times need to be held back phase by phase, as high-speed traffic can cause vibration that hinders the casting work. Traffic may be held back at any time during the casting. Casting work will continue into the late autumn. The Pellavatehtaankatu junction at the east end, south side of Hämeenkatu will reopen for traffic towards the end of week 26. At this time, the construction for the tramway will also move on, and the Koskipuisto bus stop Koskipuisto D (0502, zone A) will move one block eastward. The pedestrian crossing located on the west side of the Pellavatehtaankatu junction will also be relocated to the east side of the junction. This new phase of construction adjacent to the Pellavatehtaankatu junction will last approximately 2 to 3 weeks. On Tuesday, 3 July, the bus stops at the east end of Hämeenkatu in front of the Stockmann department store will be relocated to the west side of Tuomiokirkonkatu. 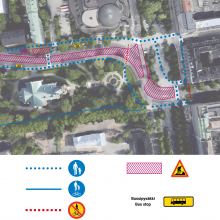 Bus stops on both sides of Hämeenkatu will be relocated. At the same time, the pedestrian crossing at the east end of Hämeenkatu will be moved over to Tuomiokirkonkatu.  This change will be long-term and last for several months. Bus stops and pedestrian crossing at the east end of Hämeenkatu relocated 3.7. On week 27, tramway construction work along Rautatienkatu will move over to the west side of the street between Kyttälänkatu and Rautatienkatu, to the front of the properties in this block. Traffic will be redirected to the centre of the street with one lane running each way. 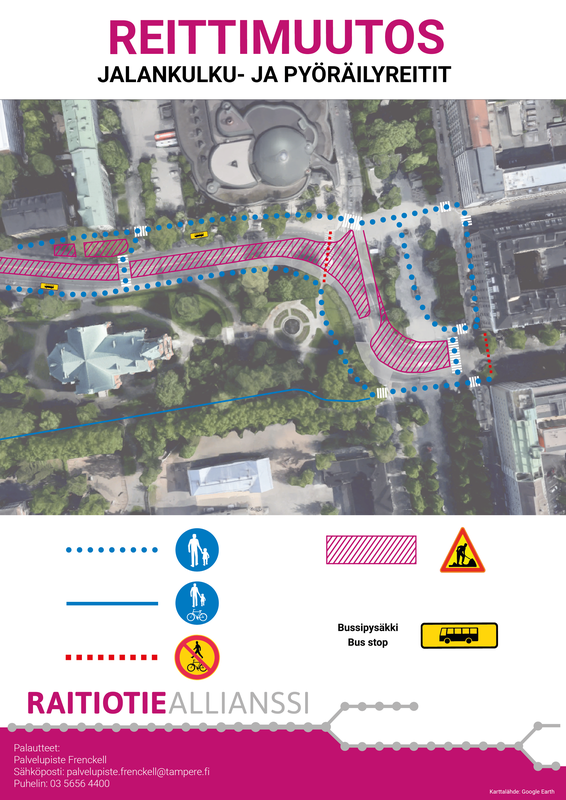 The Rautatienkatu and Hämeenkatu junction area will be rebuilt during this year according to the new street plan. Access to the adjacent properties will be ensured during construction. At least one side of the streets in the construction area will have a pedestrian path at all times.